LESS OF LIABILITY – Starting a Business – LOL Living! An important part of living well is minimizing the liabilities that eventually turn to stress. It has come to my attention lately that there are a lot of AMAZING people out there who have so much potential, but they have no idea how to get started. I have a CPA, MBA and I have worked in taxes for more than 32 years. I do not think I have ever fully appreciated my experience and education for what it is truly worth. Before I go any further, I want everyone to think about their skills and be thankful for all of it. Everyone has skills and they are all useful at different times and places. Never believe anything differently and be willing to share your skills! As part of my gratitude for all the experiences that life has given me, I have decided to create a “mini-guide” or checklist to starting your own business, from a financial perspective. The idea is if you start your business on a solid foundation, you will minimize some surprises (aka liabilities) in the future. Unfortunately, I have to put a disclaimer here. This was written from the perspective of the United States. The process is similar for other countries, but the tax and regulatory information may be different in other countries. The following list is a starting point to identify information you should gather and things that you should consider as you plan your business. This material has been provided for informational purposes only and is not intended to provide, and should not be relied on for tax, legal or accounting advice. You should consult your own advisors before engaging in any transaction. Step 1: Decide what your business is going to be. I know that this sounds a bit simplistic, but it is the foundation of everything else. For example, assume that you want to offer health coaching services, but then you decide you would rather sell holistic skin care products. Even though these are in the same general market, selling services and selling goods can be different from a tax point of view. Take your time. Brainstorm. Research your competitors. This is the foundation of your business, make sure it is strong. Step 2: Is it legal? I know, don’t laugh, but this is an important step that is best explained with an example. I live in Florida, where it is not legal to give nutrition advice unless you are a registered dietician. There are a few exceptions, but that is the general rule. If you are a health coach, you can still offer healthy lifestyle suggestions, but, for example, not meal plans for a specific condition. If you have the qualifications, then move on to the next step. If not, go back to Step 1 and see if there is a way that you can adjust your business to conform to the law. You may get caught in a loop of Step 1 and Step 2 for a while until you get just the right fit, but that is ok! Sometimes the ideas get better as you brainstorm. If you have an existing business and you want to add a new element to it, it is probably useful to go through all of these steps again to make sure you don’t miss something that may be different with the new business line. Sole Proprietor: This is the most basic way to operate. You are the sole participant in the business and you report your operations on a separate schedule within your personal income tax return. A significant limitation of this type of business is the full liability. This is especially important with health issues. If a person attempts to sue you, he can attach your personal assets. The liability can be limited with the purchase of an insurance policy, but anything over the value of the policy could still be your personal liability. Partnership: If you are entering into the business with another person, you can enter into a joint venture agreement or a partnership. I highly recommend that you obtain the assistance of an attorney to draft a partnership agreement. Your partner may be your best friend now, but money issues have a funny way of changing things. Just protect yourself. Depending on the type of partnership that you set up, you may still have some personal liability and the comments under the sole proprietor would still apply. There are some additional tax filing requirements for partnerships. While a partnership generally does not pay tax, you would be required to file an income tax return for the partnership and then report your share of the income in your individual tax return. Corporation: Corporate structures take the most work to set up and you will definitely need the assistance of an attorney. However, generally, a corporation will protect you from personal liability and only the assets of the corporation are at risk. You would be required to file a separate income tax return for the corporation and the only income that you would report on your personal income tax return would be any salary earned from the corporation or dividends paid to you by the corporation. This last part is important to remember. There is the possibility of having a double layer of tax when you use a standard corporation (referred to as a “C” corporation in the U.S.). See the next option for how to avoid this problem! Limited Liability Company (LLC): There are several forms of a limited liability company, but it is basically the same as outlined under the corporation above with one significant difference. The return filed by the corporation is similar to a partnership in that it does not pay tax directly, but you include all of the income of the LLC in your personal tax return. This form of business offers some protection from liability and only one layer of tax. You will see this form of business used frequently. This is a very brief overview of options but it will hopefully save you some time (and hence money) when you hire an attorney to set up your structure. Step 4: Register. It is a virtual certainty that you will be required to register your company/obtain a business license and pay an annual fee. The internet world complicates this a bit and the field of internet law and taxation is continually evolving. If you have an online platform, as of now, you should focus on registering where you will be actually carrying out your services. For example, if you provide online training services from your home, you would need to look at the requirements of your hometown. You can research this on your local government’s webpage. This is a step that is frequently overlooked but is really pretty easy to do. If you do it up front, it can save you a few headaches down the road. If you choose a partnership or some sort of corporation from which to operate your business, you will need to apply with the I.R.S. for a federal employer identification number (FEIN). It is a very simple form and process, but many people forget about this step as well. It will make it easier when you go to file your federal income tax return. An optional step here might include if you want to trademark your business. You will need the assistance of an attorney here, but, if you want to protect your trademark before it becomes really valuable, do it know. You should also note that, if you do have a trademark, you have to renew it periodically. Do not forget! Step 5: Set up your finances: This is really a series of “mini” steps, but I highly encourage you to think through each of them thoroughly. Has it been around for a while? Decide if you are going to hire a bookkeeper: depending on your knowledge/skill level, this could save you a lot of heartache and money. Again, evaluate the cost. Also, decide if there are some things that you could do yourself. You can save money by only hiring the bookkeeper for the things that you can’t do. All the money that comes into that account should be revenue of the business. There is no chance of double counting it or not counting it in your personal income tax return. If you haven’t been…diligent?…in keeping your books, having a separate bank account can make it very easy to recreate your books and potentially save you money if you are audited. All of your expenses should be paid from this account and only this account. If you decide to use a credit card, keep your credit card statements and only pay your credit card statement from that bank account. This help ensures that you keep your records clean and can maximize your deductions. If you need money from your business, write a check to yourself from the company. This provides an audit trail for all of the money that you have taken out of the business and can help you track, if applicable, what needs to be reported on your personal tax return. If you need to put money into your account for expenses (such as start-up) write a check from your personal account to the business account so that there is a record of the contribution. Avoid, it at all possible, using cash between your personal and business. This just makes things a bit messier and leaves you exposed for questions in case of an audit. It will most likely save you some money with your accountant or bookkeeper. Step 6: Paying Taxes L : Let’s face it…most people do not like dealing with taxes or paying taxes. I believe a lot of it is because there is not a lot of understanding. I am going to try and break it down in a simple way to at least make sure that you have considered the potential taxes you may have to deal with. We will go through the different types of taxes and a brief overview of how it may impact you. Income taxes: This is, usually, the one tax that most people know that they have to pay. This is the Form 1040 or 1040 EZ (in the US) that you have to file every year, whether you have a business or you are an employee. There are potentially three types of returns that you have to file: Federal, state and local/municipal. Virtually everyone needs to be concerned with Federal income taxes. Most, but not all, states also have a requirement to file a state income tax return. Lastly, some cities also require that you file a return. The good news is that if you file a Federal and State income tax return already for yourself, then you can probably assume that you would have to file a Federal and State return for your business, or include a form in your personal returns for that business. Refer back to Step 3 to see what type of form you will need. Estimated income taxes are another thing that you should be aware of with a new business. If you work as an employee, your company normally deducts income tax from your paycheck so you do not have a huge tax bill at the end of the year. With a company, you are required to make quarterly estimated payments and there are requirements for the amounts that must be paid. Failure to make these payments could result in both interest and penalties in addition to the tax due. Your advisor can help you with the calculation, but my recommendation is to estimate the rate of tax that your business will pay for the year and set that amount aside every month, like a paid expense, so that you will have the money when the payments are required. Sales and Use Taxes (VAT, GST, IVA outside of the US): The next tax every business needs to consider is sales tax. This is a difficult one to give a general guidance on because it varies greatly between states (and even more so between countries). The key here is to be aware that you need to find out if any tax is due. Many times, companies start operating and completely miss the sales tax portion. After you operate for a few years, you go and register your company and they realize that you have never paid any sales tax. You are audited and not only are you required to pay the tax, you will have interest and penalties as well. Good luck trying to track down your customers 5 years later to charge them the tax! You may very well not need to collect sales tax, but, take the time to check it out. A good example here is that some states charge sales tax if you sell goods, and sometimes services connected to goods, but they do not charge sales tax on services. Other states charge sales tax on virtually everything. Go to your state’s website or contact your accountant and be aware of what the requirements are. Payroll Taxes/Self-Employment Taxes: My guess is that this is the area where most of the mistakes are made for personal service businesses. This one is especially specific to the U.S., but there are assuredly similar rules in other countries. To put this in a context many people will understand, let’s look at what happens when you work for someone else as an employee. If you look at your paycheck, you will generally see deductions or “withholdings” for taxes paid to the government on your behalf. You will usually see amounts for income taxes as well as , FICA and medicare (the last two we will collectively call payroll taxes). What you may not be aware of, however, is that you only pay half of the payroll taxes. Your employer pays the other half. Assume that total payroll taxes are 15% and you earn $1,000. Payroll taxes of $150 will be due, $75 from the employee and $75 from the employer. What does that have to do with you if you do not work for someone else? They change the name (self-employment taxes), but they essentially treat you as if you are employing yourself and you have to pay both the employer and the employee portions. In the example above, you would owe the entire $150. Generally, however, the “employer” portion of the tax would be deductible on your income tax return for your business (the $75 in the example above). Another important fact to know is that for the FICA portion of payroll taxes/self-employment taxes, there is a cap on how much income is subject to tax. Any earnings above this cap are not subject to FICA. Additionally, if you have income from multiple sources, you only pay the FICA once, up to the amount of the cap. The key here is to remember that you are your own employer and employee and you will owe self-employment taxes on your income. Be sure to budget for it monthly. These are generally paid as part of your quarterly estimated payments and your personal income tax return. I know this is a lot of tax (zzzzzzzz….) but the key is to be aware and make sure that you put money aside. Step 7: Get help when you need it…the investment is worth it: Just like you want people to come to you when you need help with your health and fitness, or marketing or whatever your business is, you need to get help from the professionals, at least at the beginning. You need a solid foundation and there are people out there to help you. After you have been in business for a while, you can learn the ropes and maybe cut back on some of the professional services and do them yourself. Try not to take too many short-cuts in the beginning that will cause you problems later on. Unfortunately, there are some untrustworthy people in the world who will take advantage of your lack of information. Take the time to educate yourself about the questions to ask so that you can make informed decisions about your transactions and who you choose to do business with. Step 8: Enjoy and BE PROUD OF YOURSELF! : It takes courage to step out into the unknown. Be proud of yourself every day for daring to do something different and making the world a better place. Take pride in your work and respect your customers. 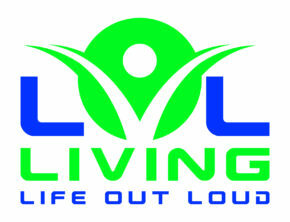 It’s a step toward LOL Living – Living your dream Life Out Loud! Thank you so much! I appreciate you taking the time to read it! I share your view of LIFE. Done a lot Learned a lot,(forgot Most) still am. Thank you so much for taking the time to read my post. I am honored and so happy that you found it useful!